Say Visa does drop its sponsorship of the international soccer body. Would MasterCard immediately step in? Don't bet on it, say experts. ZURICH: Visa has threatened to withdraw sponsorship of FIFA, finally making its exasperation public in the wake of multiple scandals. If the company follows through, this might have a "domino effect" on remaining sponsors Coca-Cola, McDonald’s, Kia/Hyundai, Adidas, Budweiser, and Gazprom. The majority of sponsors have condemned FIFA after respective corruption probes were launched by US and Swiss authorities this week. This comes only weeks after the organization was slammed for ongoing human-rights issues in Qatar, where hundreds of migrant workers have reportedly died during the construction of World Cup 2022 sites. This toxic combination, plus FIFA's own strained history of sponsor relations, might mean the World Cup has finally lost its sparkle for the world's top brands. Simon Rines, editor-in-chief of sports marketing research agency IMR, points out that this is not the first time sponsors have challenged FIFA. Sony, Emirates, Johnson & Johnson, and other sponsors have pulled out in previous years, though not all for ethical reasons. "There are several major problems for FIFA now. Will more sponsors follow suit and pull out?" Rines asked. "It is almost certain that they will have clauses that allow them to do so if they can demonstrate that the organization is either behaving unethically or bringing adverse publicity on them as sponsors." Rines added that FIFA would have difficulty replacing tier-one sponsors if they drop out. "FIFA seeks to align itself with number one brands in its various categories," he said. "If, for example, Adidas withdrew, would Nike step in? It's highly unlikely given that Nike tends to prefer national federations and individuals rather than partnering on 'mega-events.’"
Likewise, MasterCard may not be an obvious replacement for Visa, given previous strained ties with FIFA. Rines said Pepsi might find FIFA "too risky" in the wake of recent events. Meanwhile, major car brands such as Toyota, Chevrolet, and Nissan have all committed their sponsorship budgets to the Olympic Games, Manchester United, and the Champions League, respectively. "I would say that this is crunch time for FIFA, the sponsors will be watching what happens over the next few weeks very carefully, and if they are not reassured, then a mass exodus is certainly possible," Rines added. Trevor Cairns, CEO of agency Love and former Umbro CMO at Nike, said this week’s arrests "should be a watershed moment" for the sponsors. "I say should, because if this was any other organization in any other sport, brands would have run a mile, and action would have been taken long ago to clean up the sport," he said. "However, I’ve worked in football long enough to know that sadly there are elements of the beautiful game that are ugly and remain so." 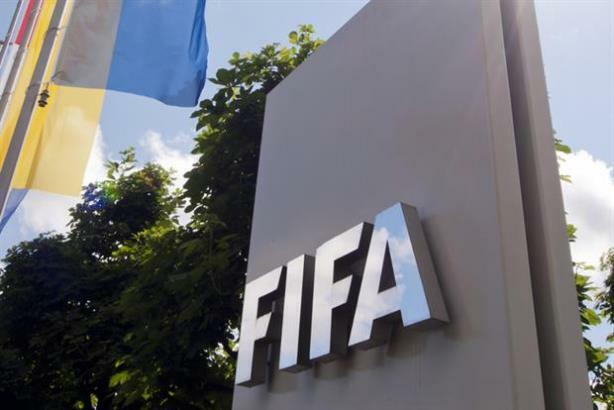 Both Cairns and Rines questioned the longevity of FIFA's brand if top sponsors pull out. Rines predicted a reduction both in rights fees and stature of sponsors, while Cairns said brands that don't push for change at FIFA would become "tarnished" by association. "For years, there’ve been rumors, claims, counter-claims, denials, and media scrutiny, but I believe this criminal investigation, particularly coming in the wake of the terrible issue of the welfare of migrant workers in Qatar, means FIFA sponsors must now use their power to demand root-and-branch reform of the organization," Cairns said. This story originally appeared on Marketing.